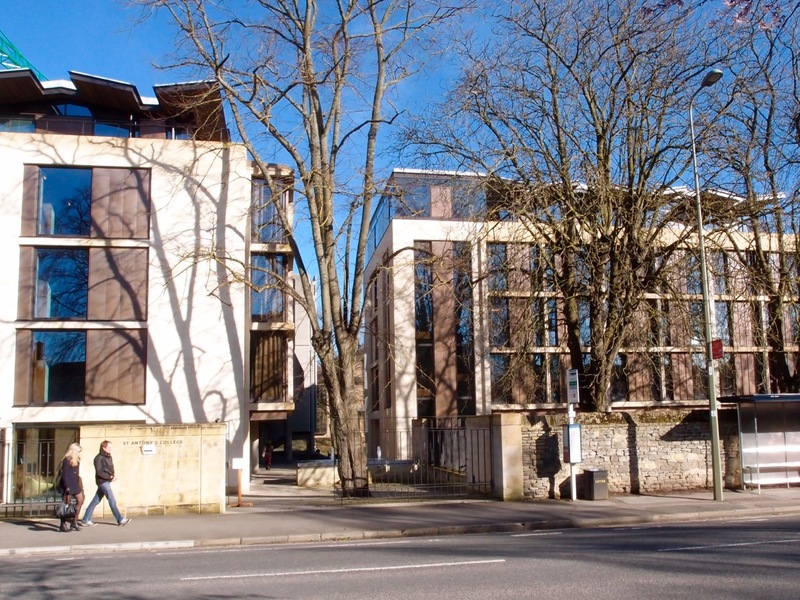 A pair of five storey buildings in stone-clad concrete have created a strong presence for the college on the Woodstock Road. 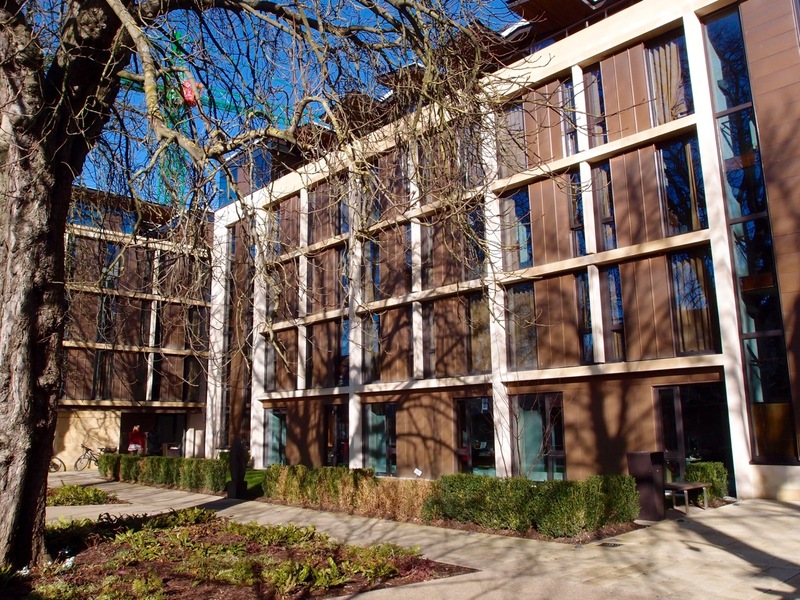 They frame a well-defined entrance route, incorporating a new Porters’ Lodge, and enclose the central area of the college site in the form of a large quad. What the architects call ‘rooftop pavilions’ provide meeting or work spaces. The new buildings match up well to the scale and solidity of the Grade II listed Hilda Besse Building (HKPA, 1971), while the regular grid of the elevation feels much lighter and more transparent.